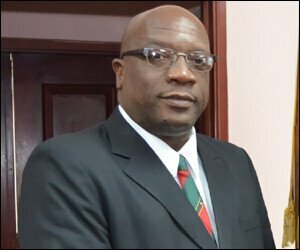 The Prime Minister of St. Kitts and Nevis, Dr. the Honourable Timothy Harris, has urged the private sector to work closely with government to create more meaningful and lasting jobs for citizens of the federation. Prime Minister Harris, who is also the Minister of Finance, stated, that when people are working, they have disposable income to consume goods and services and in turn generate economic activity. This was one of the main goals in the establishment of PEP in 2012. It was also designed to empower programme participants by providing training to assist in the development of the requisite human resource capabilities and entrepreneurial skills, which will facilitate participants’ smooth integration into the work-force. Speaking at the recently held Chamber of Industry and Commerce Gala, Dr. Harris said People’s Employment Programme (PEP) in its current forum is costing the government in excess of EC$130 million. Under the current PEP programme, employees are paid by government to work in the private sectors. Many workers, Prime Minister Harris said, have been working on these jobs for over one year. The employers should be able to make a decision regarding these employees. “Employers should not lay off regular employees, so they can use labor, paid for by the government. This is not good for the economy,”Â he emphasized. The Prime Minister said he welcome proposals and ideas from the private sector to make PEP more cost efficient. “This government is committed to bringing more jobs for the people of St. Kitts and Nevis and needs the private sector as a partner,”Â Dr. Harris said, while assuring the government’s commitment in creating the necessary environment for job creation.